Need a spare set of keys made for your car, house, or office? Want to have an extra set of antique keys cut for your china cabinet or vintage jewelry box? Looking for a licensed locksmith who can cut padlock keys, high-security keys, or even skeleton keys? At Willhite’s Mobile Lock Service, we make having extra keys made simple with our Winchester, VA key duplication service. We are the only fully licensed, certified, and insured locksmith that offers mobile key cutting in Shenandoah, Clark, and Frederick Counties, and we take pride in providing you with exceptional service at an affordable price. 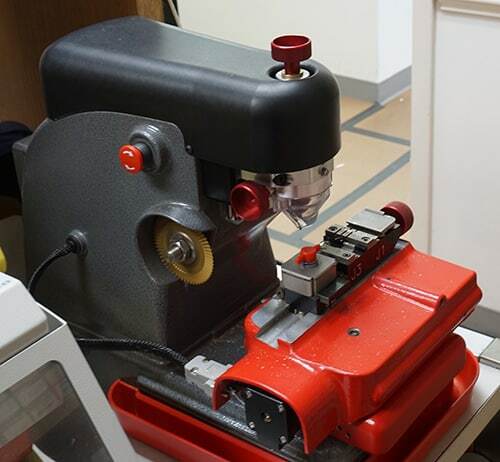 We offer comprehensive key cutting services to commercial and residential customers throughout the region, and in most cases, we can be there the very same day. Our mobile key maker means you won’t have to waste time trying to find out how to get keys made near me. We’ll come to your home to cut a spare set of house keys for you on the spot, meet you at your workplace to program an extra set of car keys, and come to your store, shop, or warehouse to cut your commercial keys. And if you’ve ever used a self-serve key cutting machine or had keys made at the local hardware store, chances are good you know the frustration of discovering your spare key doesn’t quite match the pins inside your lock. With our mobile key duplication service, you’ll never have to wonder if your new keys will work properly because our locksmith will test each key to ensure it works flawlessly in your car, deadbolt, or safe, guaranteed. Have A Unique Key You Need Cut? At Willhite’s, we’ve been providing trusted key duplication for more than 14 years, and during that time we’ve made every type of key you can think of. We have experience in cutting tubular keys (also known as Ace keys or barrel keys) which are often used to secure bicycle U-locks, Harley Davidson motorcycle locks, and locking mechanisms on coin-operated laundry machines. We can also make new skeleton keys for your old mortise lock, and if you can’t find your key, we have the experience and expertise it takes to create brand new keys for your existing deadbolt or locking door handle. When you need a key maker you can trust with all of your key duplication needs, call us here at Willhite’s Mobile Lock Service in Winchester, VA. We are your local key cutting experts, and our fully mobile locksmith unit is equipped with everything we need to provide you with an accurate car key replacement, a new set of padlock keys, or spare house key. DCJS License # 11-5740. Contact our Winchester locksmith, when you need new car keys, locks rekeyed, locks repaired, or lockout services.